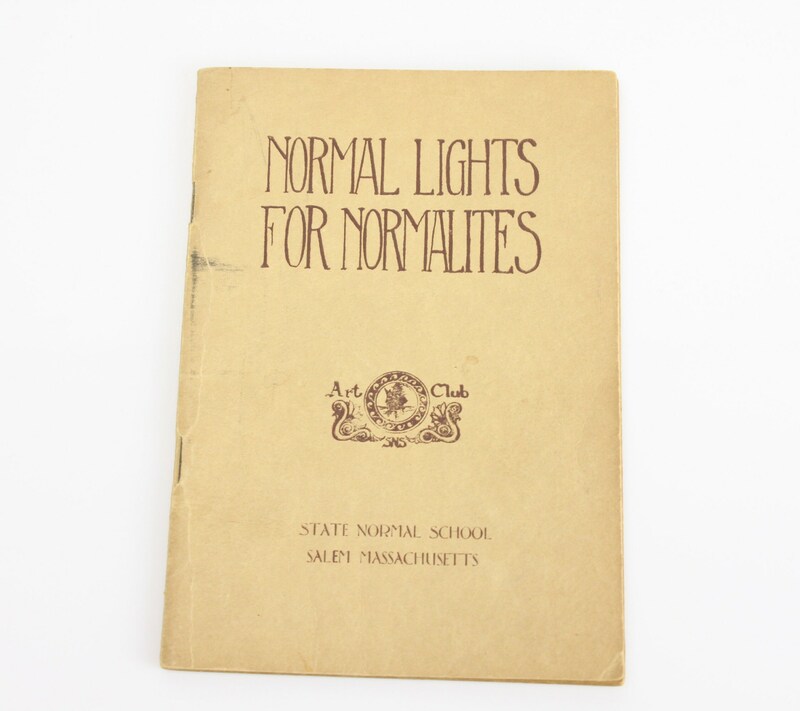 This wonderful little booklet entitled "Normal Lights for Normalites" is in wonderful condition! 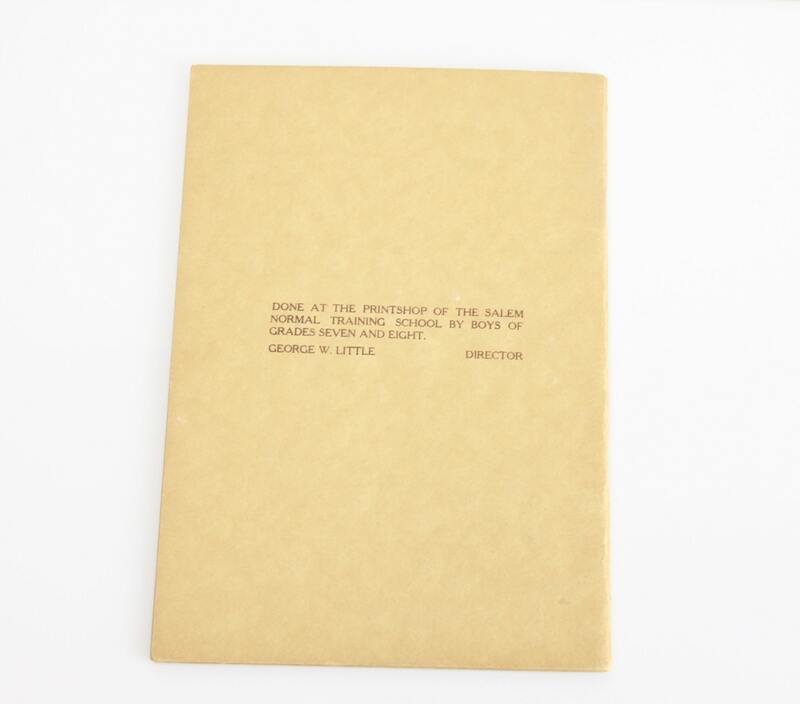 This book was produced by The Salem Normal Training school (now known as Salem State University) by boys of grades seven and eight. 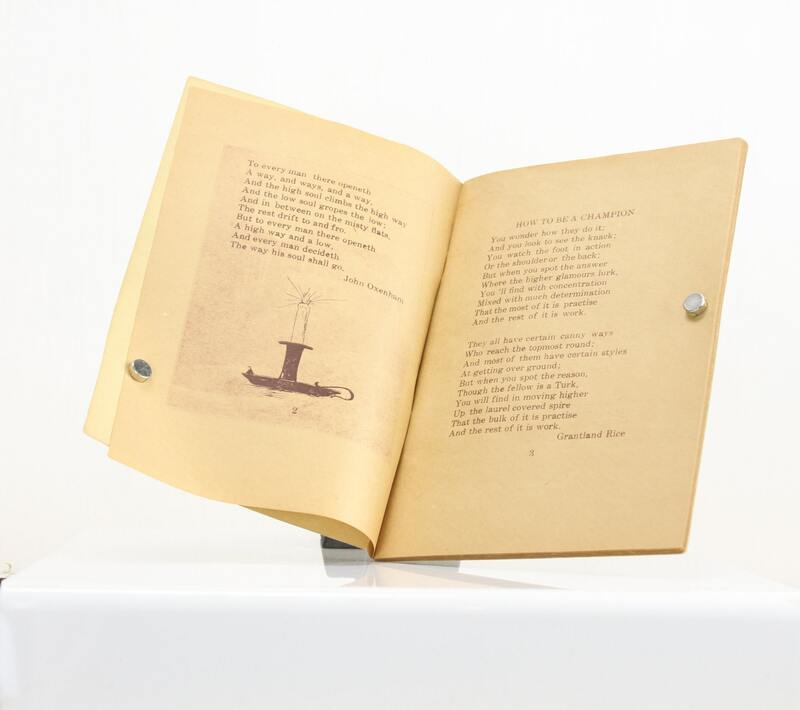 The book is comprised of various quotes and poems that members of the Art Club felt were inline with the principles upheld within the school. This book was created under the directorship of George W. Little. 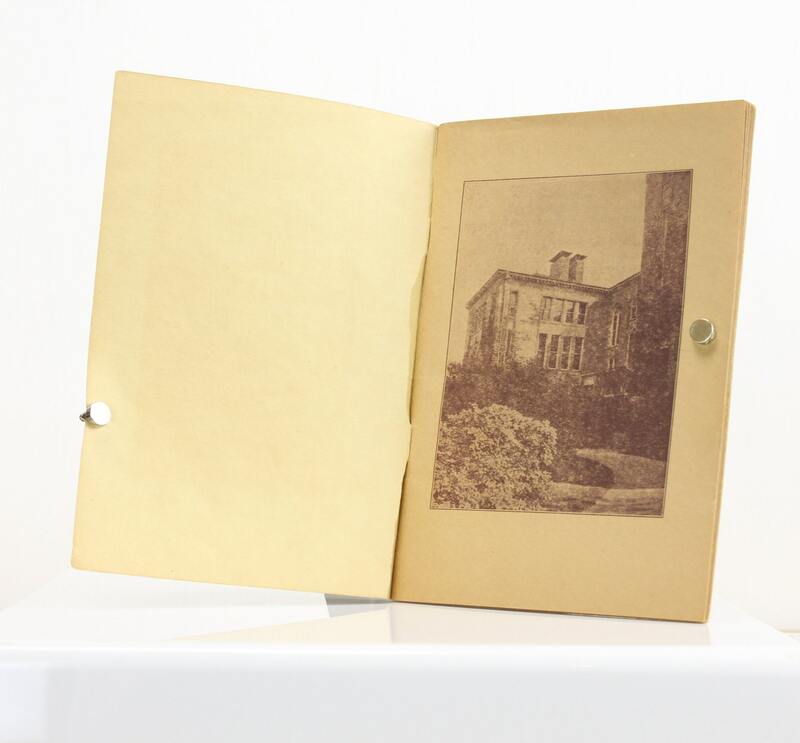 There is no publishing date on this book (largely as it was produced by the school itself) - However, I would date this booklet between 1898 and 1931. I say this because as this book states that it was made by boys of certain grades and prior to 1898 the school was closed to the male gender. Also in 1932 the schools name was changed to Salem Teachers College. Considering the construction and materials of the piece I would say that it most likely was produced between 1910 - the early 1920's. - Size: 6.75" X 4.75" & 1/8"